I have these adorable candy molds that I bought on Amazon. 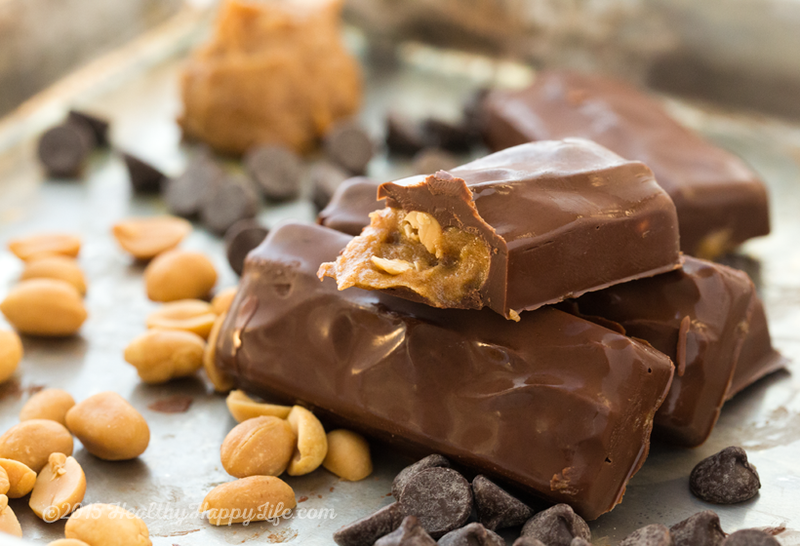 Perfect for DIY mini candy bars. 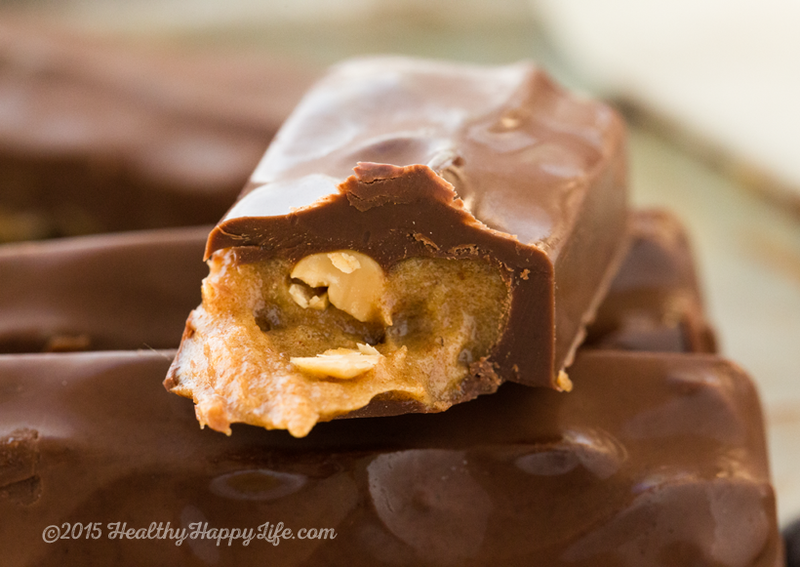 And my favorite candy in my pre-vegan days ... Snickers. So today, a veganize-this recipe!.. 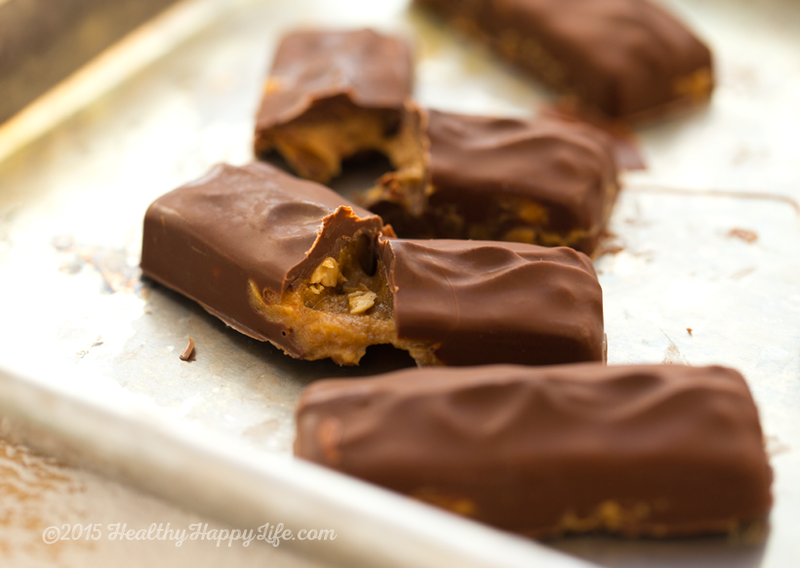 Snickers bars. 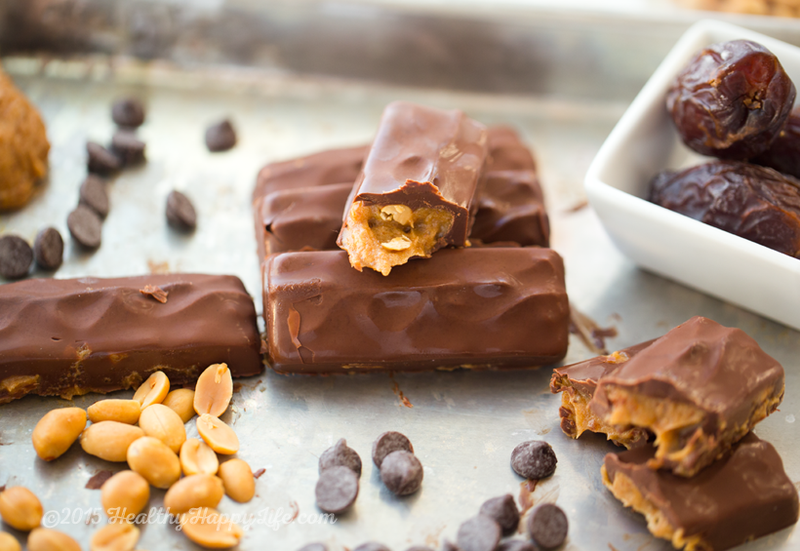 That gooey inside, combined with crunchy peanuts and a velvety chocolate coating. I was hooked. On Halloween I would line up all my fun size Snickers, in a tidy row, counting them in glory. 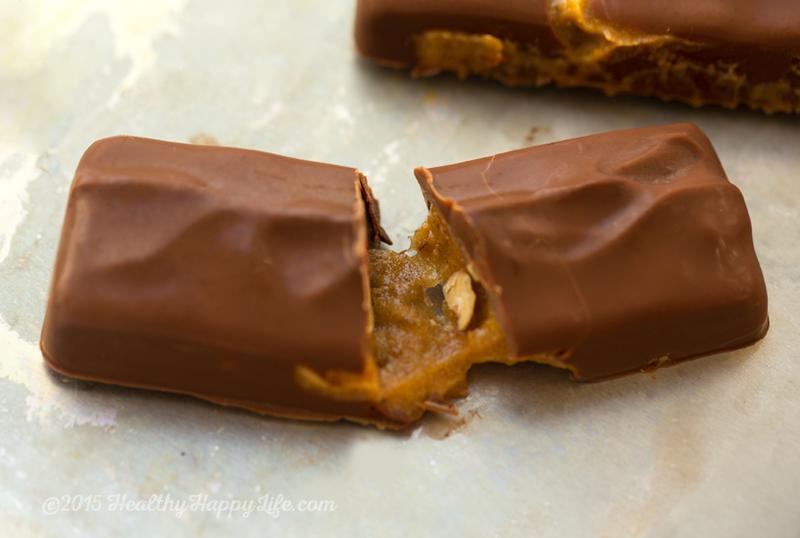 When trading sweets with my fellow trick-or-treaters I would value my Snickers as the most coveted treat, right up there with Reeses PB cups. You need to pay me two Twizzlers, a Dots, a Junior Mint, AND Milk Duds to get just one of my caramel and nugget-filled Snickers. And even then, I might not have budged on a deal. But anyways. I apologize for bringing up Halloween in summertime. I don't want to be that person. I'm talking to you CVS/Pharmacy with your pumpkin and 'fall leaves' goodies just waiting to pounce on us. 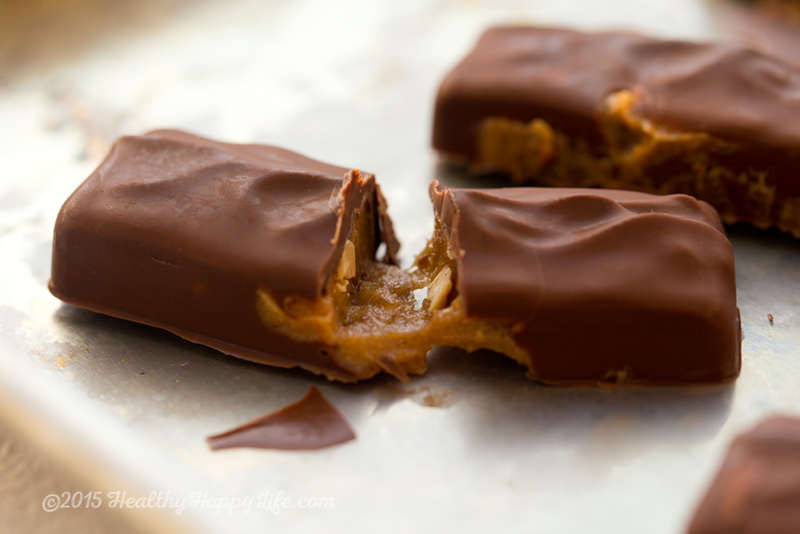 Vegan Snickers. So when I realized that I could veganize those same cravable flavors and textures using just four main ingredients, I knew I had to share this recipe with you. 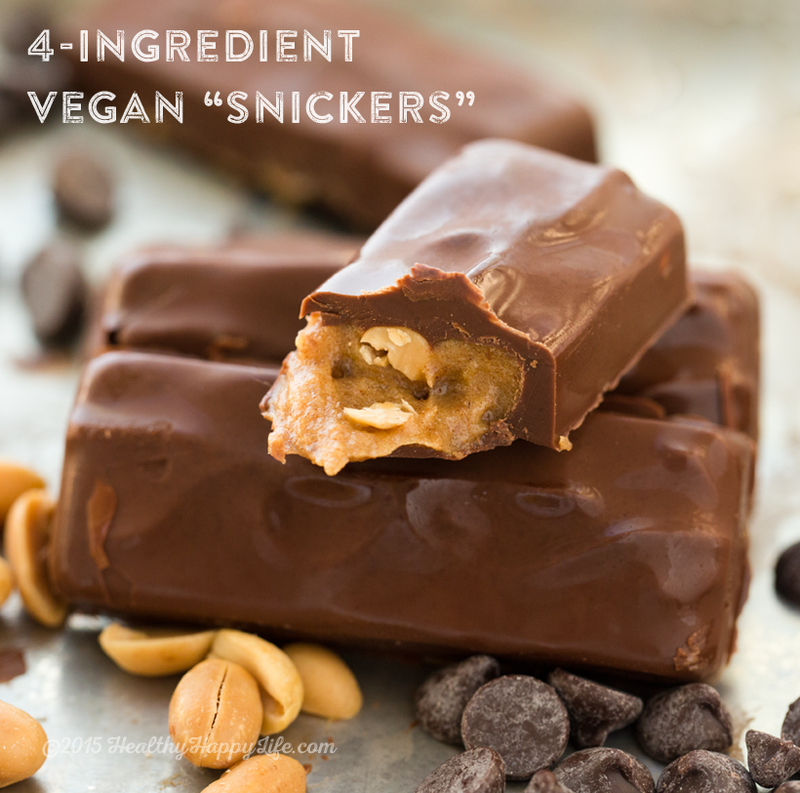 Vegan Snickers ... the video. Chop them up try these fun ideas..
- Add them to some banana ice cream for a healthy-decadent treat, aka a dessert smoothie bowl. - Use them in place of chocolate chips for some super amazing cookies. - Add them to my silky vanilla custard! The four main ingredients? 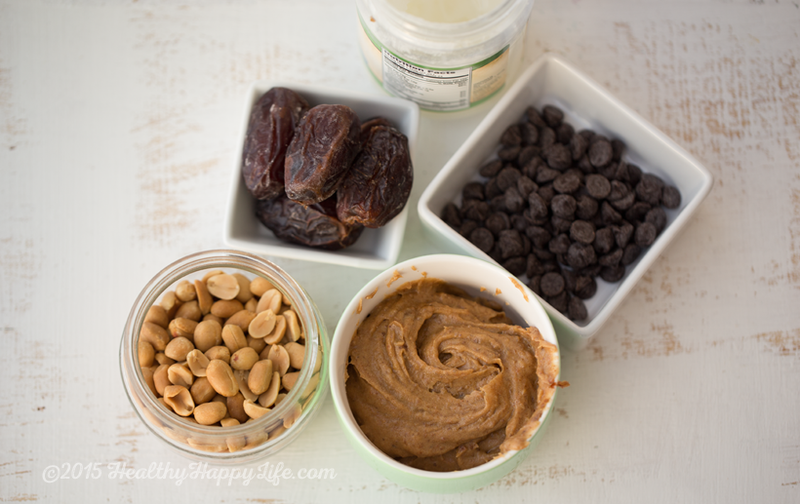 Virgin coconut oil, dark chocolate chips, Medjool dates and peanuts. Nugget + Caramel in One. 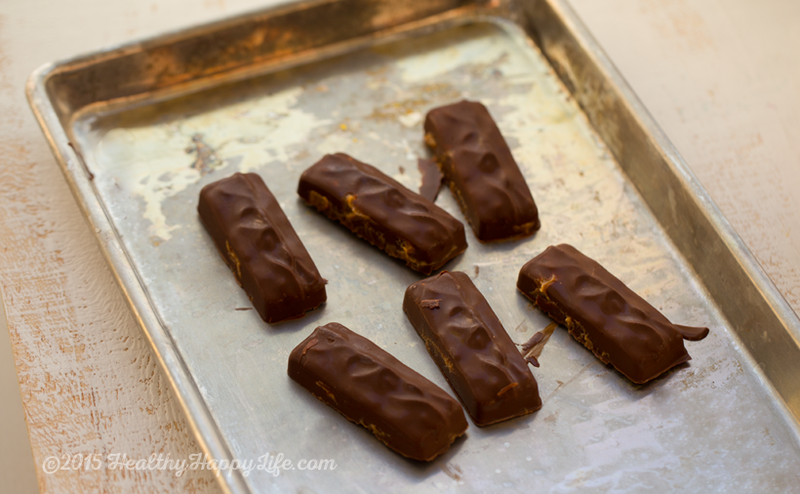 I decided to keep things really simple and make the Medjool date caramel act as both the caramel and the nugget, since it has a hearty bite, yet gooey caramel-like texture. Simple and delicious. 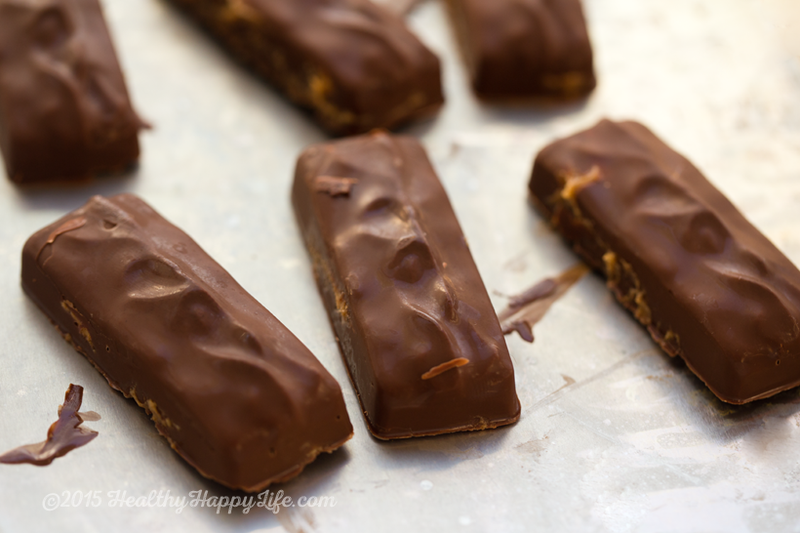 These super easy "Snickers" inspired vegan candy bars contain five simple ingredients: dates, chocolate chips, coconut oil, peanuts and optional vanilla and salt. In a blender or food processor, process the dates and water and optional vanilla extract and salt until smooth, whipped and creamy. Set aside. Melt the chocolate and coconut oil together. 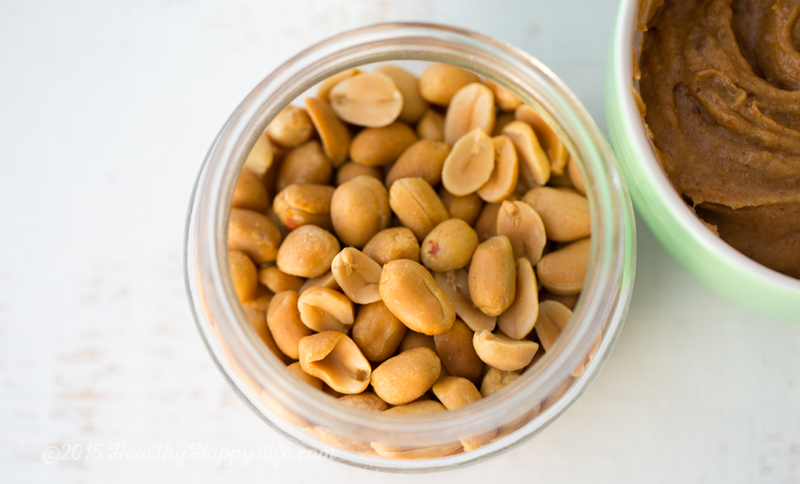 You can warm them for 20-30 seconds in a microwave or in a small sauce pot on the stove. Pour one teaspoon of the melted chocolate into the chocolate molds. Then place in freezer for 2 minutes, or until hardened. 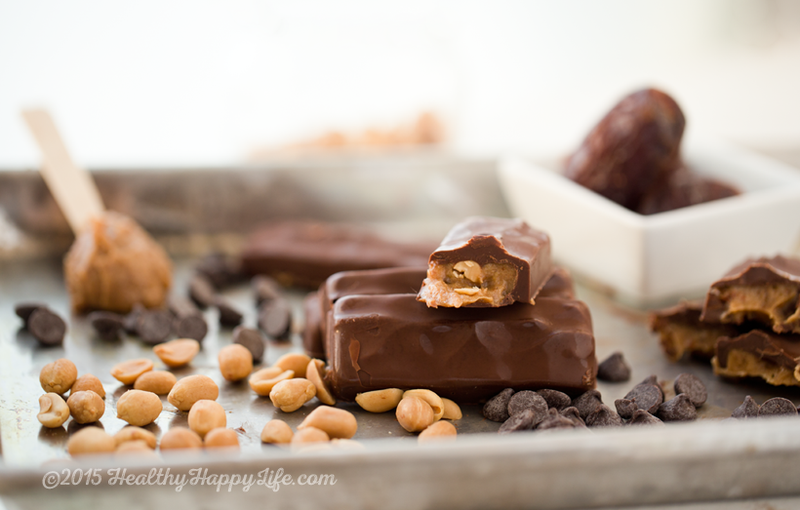 Next, put 5-6 peanuts in each bar mold, then dollop the date caramel on top. Using a spoon or butter knife, press the date paste towards the middle of the mold, leaving room for the chocolate to cling to the edges and seal in the filling. Pour the remaining chocolate over top the peanuts and date paste. Place bars back in the freezer to chill until hardened, usually at least five minutes. You can store the bars in a plastic bag in the freezer - they will keep well for up to a few weeks!